If there is any beauty influencer you need to follow, then it should certainly be Desi Perkins. She is a beauty phenomenon and not just your average makeup artist. Perkins is all about beauty and achieving one’s desired look. The former freelance makeup artist is as well a lifestyle vlogger, YouTube star, and Instagram personality. Her celebrity-inspired makeup tutorials cover everything from attaining the perfect smokey eye to contouring your face to resemble a Kardashian. The makeup guru has built an empire with a fanbase running into several million; more than 3.1 million fans are subscribed to her YouTube channel and over 3.7 million follow her on Instagram. With an unfiltered personality and impeccable eye for beauty, Desi Perkins is set for the stars. She has the world to conquer and does so one video at a time. The makeup connoisseur was born in California on March 13, 1987. While her nationality is American, her ethnicity has often been a subject of debate. This is probably because of her marriage to a white man, Steven Perkins, whose last name she took after their nuptials in 2012. As opposed to what many people think, the YouTube guru is of Mexican and Spanish descent and a proud Latina to say the least. She was raised in a typical Mexican household along with her three brothers and was even hit by the dreaded flip-flop, chancla as a kid. Desi regards her family as one of the most important things to her and maintains a strong bond with her cultural roots. Additionally, her identity as a Latin American inspires some of the names she ascribes to her makeup products such as ‘Mírame’ and ‘Fuego’. Perkins has an impeccable eye for fashion and beauty, one that dates back to her younger days. While in college, she practiced the art and garnered a handful of experience that translated to her working as a freelance makeup. She became a force in the area after some years that a number of celebrities, including Kim Kardashian, asked for her suggestion and services when it comes to makeup. The duo worked together to promote her (Kim) KKW Beauty line and went even as far as doing a makeup tutorial which has thus far raked in over 7 million views. The effort paid off, earning her a deserved shoutout from the beauty mogul on KUWTK for accentuating her eye shape so well. It also impressed the Good American co-founder, Khloe. And that really gave a boost to her career. 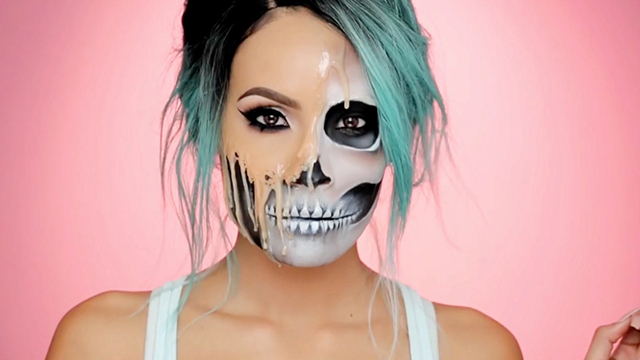 Interestingly, Desi Perkins stumbled upon her makeup prowess by chance. As the story goes, her husband once needed a Halloween costume and the sketching and painting side of her was handy in producing what’s needed – she recreated a special effect she found on YouTube. Since then, her husband has never had to worry about a costume when it comes to Halloween. However, it wasn’t just the Halloween costume that she achieved, she also set sail to her empire with her makeup evolving to an enviable height in turn. Having amassed some popularity, she turned her focus to social media where she uploaded videos, teaching her viewers how to achieve the looks of celebrities like Kim Kardashian, Kylie Jenner, Jennifer Lopez, and Taylor Swift. Her eponymous YouTube channel was created in August 2013. Some of her popular videos include Eyebrow Tutorial which has garnered over 10 million views and a collaboration with her husband, Husband Does My Makeup. Though she was first on Instagram where she now has over 3.7 followers, it was her emergence on the video-sharing website with her first upload therein, Soft Warm Sultry Eye Tutorial that shot her into the limelight. Desi Perkins has worked as a stylist at Ipsy.com Generation Beauty Conference in New York. She collaborates with her best friend and fellow YouTuber, Katy DeGroot (@lustrelux) for Dose of Colors, has a sunglasses line with Quay Australia, and promotes several cosmetic brands through her social media platforms. 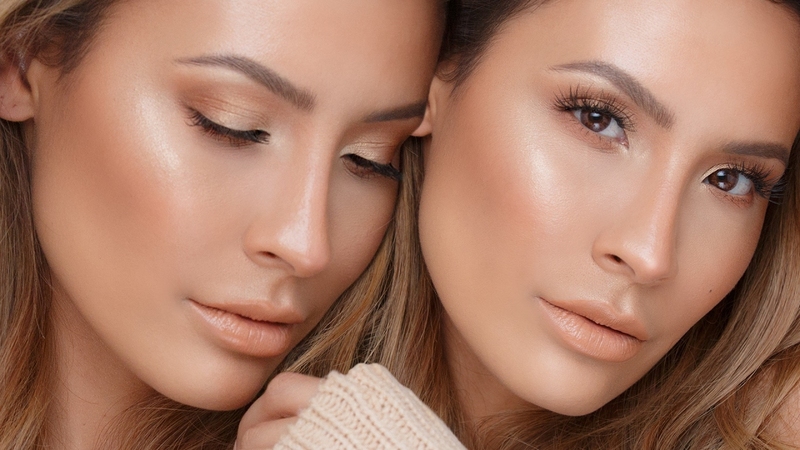 Desi Perkins has evolved into a beauty sensation by a dint of hard work and dedication. Consequently, she is worth any benefit that accrues from her efforts. While many sources have placed her net worth between $300,000 to $1 million, it would be nothing short of a six-digit figure and has been definitely growing. She is married to a graphic designer, Steven Perkins. After dating for many years, the duo eventually tied the knots in 2012. Steven graduated from Norco College where he studied graphic design. Before then, he studied at Santa Ana College where he was on the varsity baseball team and took a year of courses in music, business, and marketing at Riverside City College. Steven supports his wife, he shoots and edits her videos and has also trained her in editing videos. By watching his wife display her arts, he has picked up some nifty makeup skills and even though he is no guru like his wife in the arena, he has grown along with her in popularity with over 213K Instagram followers. The lovely pair has also been through the highs and lows of marriage including suffering a miscarriage; the misfortune only brought them much closer to each other. In addition, they run a YouTube channel called The Perkins. If you ever want to get her shoes as a gift, her size is 6.5.